This article will cover what role a septic tank baffle plays in septic systems. Every time you look at your property, you wonder how you could keep it as good looking as the first time you got it. As a homeowner, you have to take note of the fact that you have to manage several components in your property at the same time. There is the house that you have spent so much time designing. There are your appliances and furniture that you have to care for so that they could keep on helping you do things with ease. Among the things that you have to watch over, your septic system has to be one of those at the top of your list. As you know, your septic system is a very indispensable element in your property. It treats the wastewater that your household produces every single day. If you don’t have a dry well, it is the only place where the grey water (from your dishwasher and washing machine) goes to. It also ends up receiving the runoff during heavy rains. You should definitely see to it that your septic system is optimal at the end of each day. Your septic system is designed and built according to the number of people who use the facilities in your home. If ever you have any changes in your living situation, you have to arrange for another septic tank to be installed so that the wastewater could be effectively treated. If the wastewater exceeds the capacity of the septic tank, it will overflow and you will experience septic backups and flooding. Make sure that you maintain your septic system because it will make or break your property. Pump outs should be done on a regular basis. You have to discuss this well with your septic expert so that a schedule can be established. If your household is made up of 2-3 people, pumping it out every 3 years is an order. For households that have up to five people, pump outs should be every two years. A yearly pump out should be performed for households with 6 or more people using its facilities. During pump outs, the septic baffles could be thoroughly inspected. As the septic owner, you should be aware of what role a septic tank baffle plays in septic systems. They help the system become more optimal. The inlet baffle is installed at a higher position than the outlet baffle. This is to make sure that the raw sewage doesn’t flow back up into the home or building. It makes the wastewater flow downwards so that the anaerobic bacteria could break the waste products down immediately. The outlet baffle is responsible for keeping the waste particles inside the septic tank. It has the most critical job because the drain field should not be clogged at all. If the outlet baffle is lost or breaks down and it isn’t replaced, the drain field will be all clogged up and the entire septic will fail. Septic baffles usually rust through easily. When this happens, they stop working efficiently and your system ends up malfunctioning and even failing. Baffles should be of the same diameter as the pipes they are attached to so that no amount of solid waste could escape them. 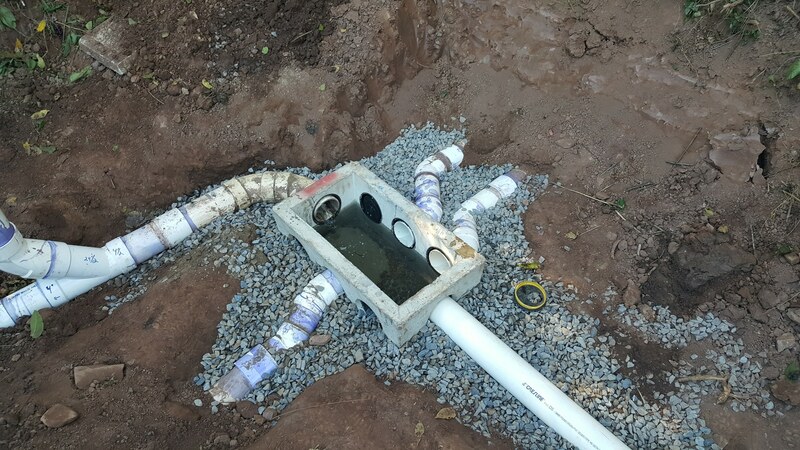 If the septic baffles do need replacement, you have to replace them with PVC tees. The tees won’t rust anymore so you can be sure that they will do the job for a longer period. The baffles are reliable in helping the resident bacteria treat the wastewater that passes through them because they have bacteria growing on their bristles, too. If ever the wastewater overflows above the baffles, it will still be partially purified, however, you may wish to consider adding a septic tank treatment to your monthly regime. Talk to your septic expert about your baffles so that they could keep an eye on them every time they come to check up and pump out the system. Optimal baffles result to a fully functional septic system for decades to come.